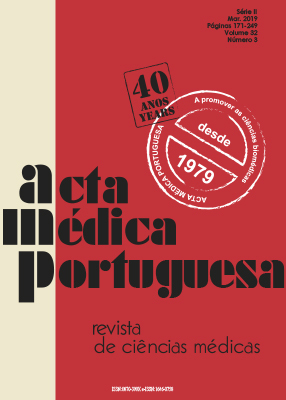 The Acta Médica Portuguesa is scientific journal of the portuguese order of physicians. His main objective is the publication of scientific articles in the medical field. The types of articles are: original, review, editorial, medical imaging, perspective, guidance standards. All articles are subject to peer review by two external reviewers.